Iplex Pipelines was established in Australia in 1938 and over the past seven decades has grown to become a recognised leader in the supply of pipeline products to the water and gas industries. Today the company is a wholly owned division of Fletcher Building Ltd with manufacturing sites located across Australia. 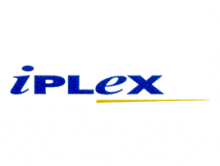 Iplex provides systems which enable the delivery of world-class solutions to the growing water infrastructure, irrigation, civil, mining, coal seam gas and construction sectors.